Men's 8 oz. 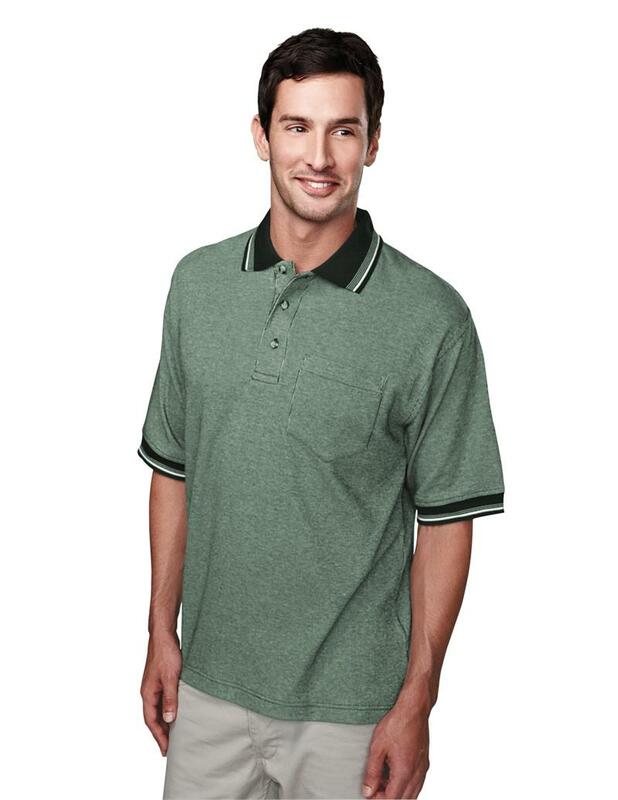 60% cotton/40% polyester golf shirt with left chest pocket. Jacquard knit collar and cuffs with natural trim. 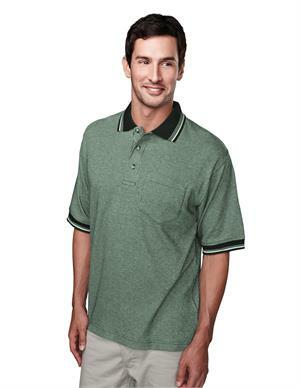 Clean-finished placket and hemmed bottom with side vents. Half-moon yoke. Three horn buttons. 2" extended tail. Double-stitched seams for added strength.